-50 + 650 ° C range, focus ratio of 12: 1, with laser pointer. 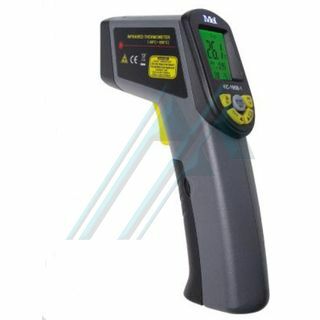 Portable Infrared Thermometer KC-180-B uses laser and infrared technology for contactless temperature measurement. It is the right equipment for measuring the surface temperature of equipment in which it is not appropriate a contact probe traditional (measurement applications moving objects, toxic areas or inaccessible places for contact probes). This equipment includes low-power technology and can store the settings automatically, eliminating the need to adjust the equipment each time it starts. 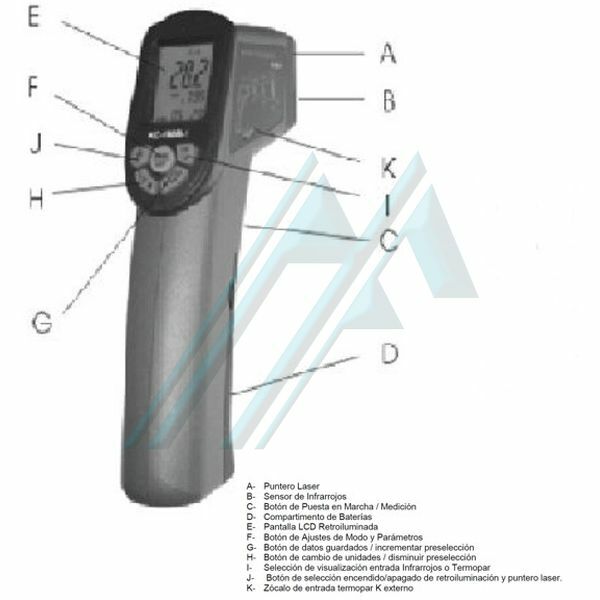 We can visualize the data via a backlit LCD screen incorporates a laser pointer to increase the accuracy of the measurement point and an input socket to connect a K-type thermocouple, which allows expand the measurement range of the equipment. It has all the advantages of being a laptop, with fast measurement and easy and safe handling. 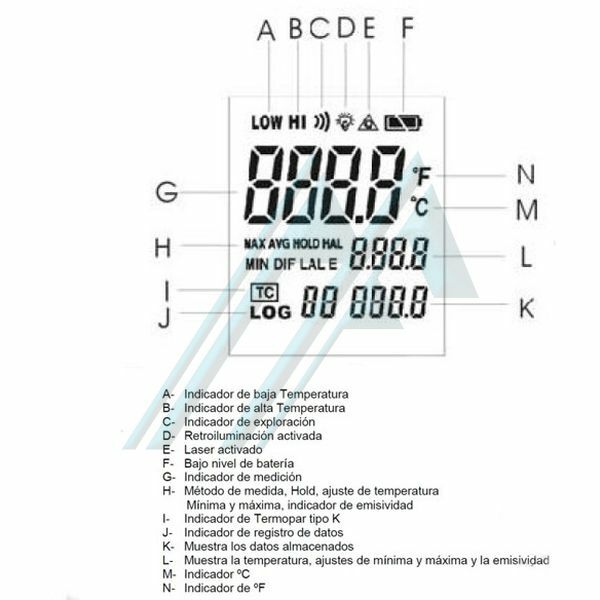 Some of the most common applications are locate hot spots on electrical boxes or bearings, control of parts heated by high frequency induction, process controls and food storage, check temperatures in heating and cooling systems, or any other circumstance temperature differences that could jeopardize the process. Especially suitable for applications in metallurgy, chemical, food, rubber, etc.